The decades we spend in school are the most exciting times of our young lives, but also the most demanding. In between the late nights studying and seemingly endless years of waking up at the small hours of the morning to get to class, this is also the time when we make memories with the friends we’ve made in school. It’s these years that we nurture our ambition and visualize the future of our dreams. Having said that, during our student years we also need all the support we can get. Anything that helps us save time while enabling us to stay on top of our academic workload would just make everything so much simpler. And this is why students need a reliable school backpack to help them power through all the pressures that come with school. High Sierra has created a laptop school backpack that fits the needs of all students: just the right size, big on organization, and extremely comfortable to wear. The High Sierra Access Backpack stays true to its name: it gives students access to all their belongings without wasting time. 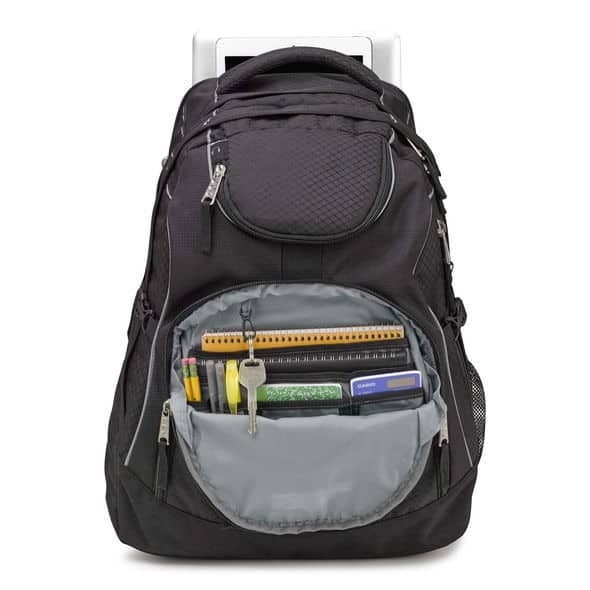 Whether you’re running down the halls from one class to another, commuting back to your dorm, or even going on a short weekend trip, you can rely on this backpack to safely keep all your school things. This backpack is one of the best school bags on the market, and it’s also very affordable. It’s equipped with a spacious main compartment plus several other pockets so that your laptop, notebooks, gadgets, calculators, pens, and other school essentials are neatly tucked away. It’s also just the right size for a carry-on bag, making air travel a breeze. If you need to borrow books from the library to study for your next exam, its innovative Suspension System eases the load you’re carrying on your back because it’s made to reduce weight transfer. This backpack was seemingly made for busy students in mind, because it’s got all the right features you need. Parents no longer need to worry about having to shell out money next school year, since this backpack was made to last. High Sierra has been designing functional and versatile adventure gear since 1978. This is a brand that is as synonymous to quality as it is with affordability, making it easy for individuals who have an active, busy lifestyle to stay organized on the go. 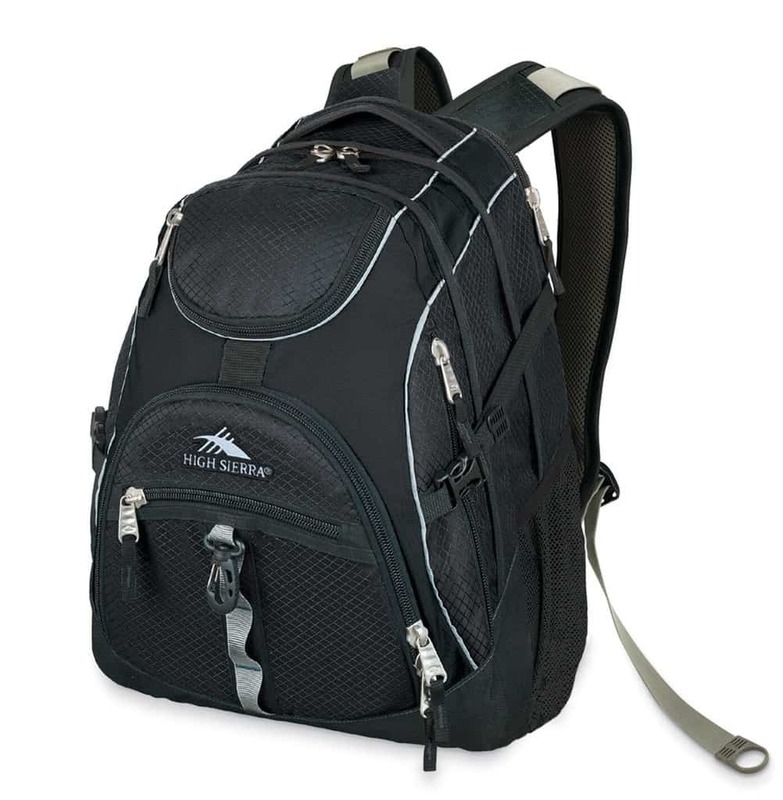 The High Sierra Access Backpack is perfect for high school and college students who need a spacious bag that specializes in organization and comfort. Its Suspension System, combined with the adjustable side compression straps, makes carrying heavy loads lighter. Within the bag, several large pockets plus a side-access pocket has more than enough space to carry hefty books and notebooks. The multi-pocket organizer is ideal for keeping your smaller items in place, while saving you time from looking for them. It’s also equipped with a fully-padded Cushion Zone for storing 17-inch laptops, and a TechSpot sleeve for tablets. The many desirable properties of this bag make it the ideal student’s companion. You no longer have to suffer through carrying heavy books because this bag reduces the load on your bag while safely keeping all your things in place, allowing you more time to focus on pressing academic and extra-curricular matters. 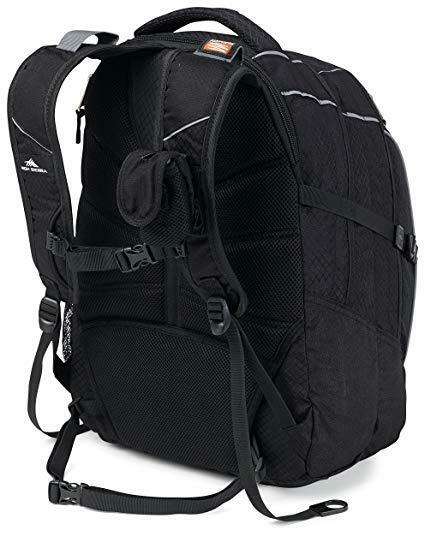 The High Sierra Access Backpack is a top-of-the-line rucksack for students. It’s the furthest thing from many of the flimsy school bags on the market. In fact, weighing in at 3.25 pounds, this model is heavy-duty and clearly one that’s up for the challenge. Another main advantage is its competitive price tag: even if you’re on a tight school budget, this bag is an excellent purchase - one that will last you for several years. Based on reviews, customers appreciate how this bag is just the right size and space for lugging around not just textbooks but a laptop, tablet, notebooks, and other supplies comfortably. Its strong reinforced fabric, straps, and padding are perfect for school needs. Some have also noted that despite coming with a hidden rain cover, its fabric can also withstand some rain on its own. Customers love the several pockets – the High Sierra Access Backpack clearly has more compartments than your average school backpack, which really comes in handy for school. Reviews from customers who aren’t students are also pleased about this bag’s versatility as a carry-on and travel bag. On the other hand, some customers aren’t too pleased with the quality of the zippers. Some have experienced this bag breaking down within a few months of use, and some attribute it to the stitching. But considering how inexpensive this bag is, the High Sierra Access Backpack is still one of the best in the market for school and travel. If compartments and overall organization is a top priority for you, then your search for the ideal backpack stops here. The High Sierra Access Backpack is being sold at a great price on Amazon. If you order this rucksack today, it will be shipped to your door within a few days. There isn’t much to think about with this bag: high quality and affordability paired with superior functionality. This is a bag that doesn’t play around when it comes to offering students precisely what they need: state-of-the-art organizational features and innovative straps and padding that reduce the weight of your load. The High Sierra Access Backpack is a great choice for kids in middle school through college, and it’s easy on the budget.